Home / / How to choose the best surgeon for you? How to choose the best surgeon for you? Your GP may be able to recommend an excellent surgeon that he/she has had a good working relationship with or you may have a recommendation from a friend or family member., who, they believe, is the best surgeon. Regardless, there are several ways to find the best surgeon for you. Does the surgeon have a public hospital appointment? If not, why not? Is the surgeon able to see urgent referrals within 24-hours? Is the surgeon is a good listener and communicator? Is the surgeon is adequately trained and offer experience in your specific condition or procedure? Does the surgeon participate in a No Gap scheme with private health companies? Is the surgeon a member of the professional associations for your condition? Is the surgeon realistic about the potential for complications and non-surgical alternatives? the most highly rated surgeon in Sydney. The relationship between a patient and surgeon, in some cases over months and years, is a complex interaction? Remember the best surgeon for someone else is not necessarily the best surgeon for you? So How do I find the best surgeon general surgeon, the best upper GI surgeon or the best general surgeon in my area? An excellent place to start your search would be your general practitioner.They are trusted gatekeepers for specialists such as general surgeons specialising in gallbladder and hernia surgery. Your GP is familiar with your medical history, and may also have several patients with firsthand experience with specific surgeons, clinics and hospitals. It is also common to talk with other patients who can give you a perspective of not only the surgeon and his or her ability, but also the preoperative and postoperative care offered. This can be important to your recovery and overall experience. While a direct recommendation from a GP or past patient are some of the most powerful tools for prospective patients, Google is also a valuable resource. Not only for information about anatomy and procedure details, but also when researching a doctor’s experience and subspecialty focus. Most people now use the internet to research their condition and surgical specialists. A google search may be of benefit to find the best surgeon in your area, for your condition or treatment required. The best pancreatic surgeon in NSW? The best liver surgeon in Sydney? 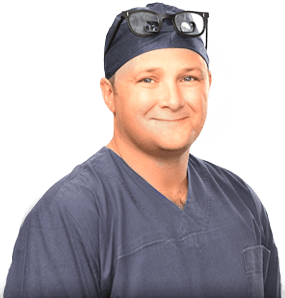 The best hernia surgeon in Sydney? The best gallbladder surgeon in Sydney? More specific searches (with more keywords) will yield a higher number of relevant results in your area with expertise in your condition. Beware of specialists claiming to be the best surgeon in their field. The truth is that surgeons do not sit in on other surgeon’s consultations and rarely at each other’s operations, so we are not great judges of who is the best. The other way to make a direct comparison between surgeons is to visit more than one specialist before making your decision. While there may be an extra expense involved, you are able to experience first-hand the surgeons bedside manner, communication skills and find out whether you feel comfortable with your choice. In some circumstances a surgeon may direct you to a second opinion if they feel another doctor is more qualified to perform your procedure. This is recommended. General surgery is not a trivial decision and often the process can take time. This is more difficult to gauge prior to meeting a surgeon, in person, and where your GP, past patients or reviews may help most. Your doctor should make every effort to make you feel comfortable while being honest about risks and benefits of surgery. Take time to listen to your concerns and any doubts you may have. you can make an appointment with Dr Gandy on +61 (02) 8599-4360 or make an online appointment request.